Will India Still Supply Cheap Drugs to the World? GENEVA, Sep 25 2012 (IPS) - India may be famous for the Taj Mahal, its religious ceremonies, Bollywood films and one of the highest economic growth rates in recent years. But more importantly, India has had a positive global impact through its supply of vast quantities of low-cost, good-quality generic medicines, which have saved or prolonged millions of lives. Many people go to India to buy life-saving generic medicines from pharmacies and bring these back in suitcases to give to close relatives who cannot afford the expensive branded original products. A decade ago, the Indian pharmaceutical company Cipla produced generic HIV/AIDS drugs that could treat a patient for 300 dollars a year, far cheaper than the branded product’s cost of 10,000 dollars per patient a year. Today the Indian generic version is even cheaper, below 80 dollars. Martin Khor. Credit: Nic Paget-Clarke. This has enabled millions more AIDS patients to be treated, since India supplies 70 percent of the HIV/AIDS drugs obtained by the United Nations Children’s Fund (UNICEF), the Global Fund and the William J. Clinton Foundation for developing countries. A further 75-80 percent of medicines (not only for AIDS) distributed by the International Dispensary Association to developing countries come from India. No wonder India has been termed the ‘pharmacy of the developing world’. In January 2012, the Indian Drug Manufacturers’ Association (IDMA), comprised of 700 drug-manufacturing member companies, celebrated its 50th anniversary, by toasting the industry’s high growth, wide range of medicines, and its contribution to safe, affordable drugs. But there are also many factors that may hinder the continuation of the country’s role as chief supplier of medicines to developing countries. A main factor of the industry’s success was the government’s decision, back in 1970, to exclude pharmaceutical drugs from product patents. This paved the way for local companies to produce generic versions of expensive foreign drugs and within a few decades they had taken over 80 percent of the domestic market, while also supplying cheap medicines abroad. The situation took a negative turn when the intellectual property agreement, known as TRIPS, was established in 1995 together with the World Trade Organisation, which disallowed countries from excluding medicines from patentability. However, TRIPS allowed individual countries to determine the criteria for an invention that can be granted a patent. Furthermore, TRIPS gave governments the ability to grant a compulsory licence to local companies to produce the patented products, if their requests to patent owners for a voluntary licence did not succeed. To implement its TRIPS obligations, India passed changes to its patent law in 2005 so that drugs could now be patented. However, the new law also contained flexibilities such as strict criteria for patentability (trivial changes to a patent-expired product would not qualify for a new patent); allowance for public opposition to a patent application before a decision is made; and compulsory licencing. India has one of the best patent laws in the world that still gives some space to its producers to make generic drugs. But it is also true that the old policy space has been eroded because many new drugs have, since 2005, been patented by multinational companies that are selling them at exorbitant prices. Indian companies can no longer make their own generic versions of these new medicines unless they successfully apply to the government for compulsory licences, a most cumbersome process; or unless they obtain a licence from the patent-owning multinational, which comes with stringent conditions, especially for export. Another worry is that India is negotiating a free trade agreement (FTA) with the European Union. Such agreements usually contain provisions such as data exclusivity and extension of the patent term, which prevents or hinders generic production. Finally, six Indian companies were recently bought up by large foreign firms. If this trend continues, the Indian drug market may be dominated by multinationals again. It is uncertain whether they will continue to supply the developing world with cheap generic medicines when this may be in conflict with their own branded products. International health organisations such as UNAIDS, UNITAID and Doctors Without Borders have raised their serious concerns that these recent trends may threaten India’s role as the chief supplier of affordable medicines to Africa and other developing countries. Millions will die if India cannot produce the new HIV/AIDS medicines in the future –it is a matter of life and death, said Michel Sidibe, executive director of UNAIDS, during a visit to India last year. Thus, a strategy is needed that involves the government and the drug companies, which ensures that the local drug industry continues to thrive; that it produces not only existing medicines but also new medicines even if they are patented; and that they are supplied at cheap prices not only in India but to the developing world. 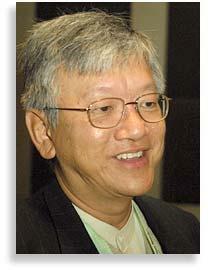 * Martin Khor is the executive director of the South Centre in Geneva.